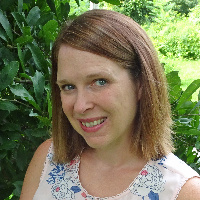 Hi, I'm Susan, a Licensed Clinical Social Worker in the state of New York and I am so glad that you are considering reaching out to me! I hope that you will find me to be a good match for you and that we can start getting to know each other. I am confident that I can help you start feeling better and living life more fully! A little about me...I received my Master's Degree in Social Work in 2000. Since then, I have worked in a variety of settings including outpatient mental health, foster care prevention, home based palliative care, bereavement services, and both inpatient and home-based hospice. My deepest passion and interest is in the area of grief and loss, and in helping people adjust to life altering medical diagnoses. I am also passionate about supporting my clients through the struggles of building a family, including pregnancy and infant loss and postpartum depression. Finally, I deeply enjoy working with young adults who are going through a life transition, such as adjusting to life after college, a move, the end of a significant relationship, or just feeling ‘stuck’ in their current situation. In my spare time, I enjoy hiking, kayaking, swimming, and just being near a lake or the ocean. I'm a mom to two school-aged children as well as a Weimaraner, 3 cats, and 12 chickens! I am an active Girl Scout Leader and an avid reader. I enjoy attending continuing education seminars and workshops to deepen my knowledge and enhance my therapy practice. I often utilize mindfulness-based techniques in my approach and find that being in nature enhances my own mindfulness. I also like to use solution focused techniques to help my clients get to the root of their problems and quickly develop real-life solutions for managing them. I look forward to supporting you through life’s ups and downs and helping you to fully live the life you deserve. Susan is absolutely amazing! In the short time I have been working with her, she has already helped me tremendously with some many issues that I had been facing. She has given me great support and is always there when I need her! Susan is amazing. She truly understands the hardships I a going through and I can feel that she wants nothing more than to see me succeed in life. Would like to thank Susan for listening to me. Susan was wonderful. Very understanding, and willing to go the extra mile. Highly recommend! Susan is wonderful! I’ve never had a therapy experience before and was initially afraid to seek help. Susan melted all of those fears and validated my emotions. She’s a wonderful listener and has truly been there for me. My lifestyle is improving because of her help! Susan is an excellent counselor. She help me a lot. I would highly recommend her. She is just wonderful. So helpful and kind. It always feels as if she is listening to me and really taking the time to give me thoughtful responses and helpful advice. Susan is very patient and responsible, she always listen to me, reply my message and try to understand me, offer me some ways to get me feel better. I do appreciate all her time and assistance. I will definitely recommend her to be a great consular. Susan is absolutely amazing! I felt like my life was in a rut and I felt stuck, she helped me identify my goals and the best way to tackle them for success. My life is really turning around and I am really excited to wake up every morning and take a step every day to live my dream life. She is such a good listener, really takes the time to understand me and offers amazing advice. I am so lucky to have been connected to Susan! Would you like to write a review for Susan Candiloro? We'd appreciate if you can spend a couple of minutes to write a short review for Susan Candiloro (LCSW). This review would be shared with Susan Candiloro. It may also be posted in our website or in Susan Candiloro's profile but it would be anonymous and your identity would be kept completely confidential.